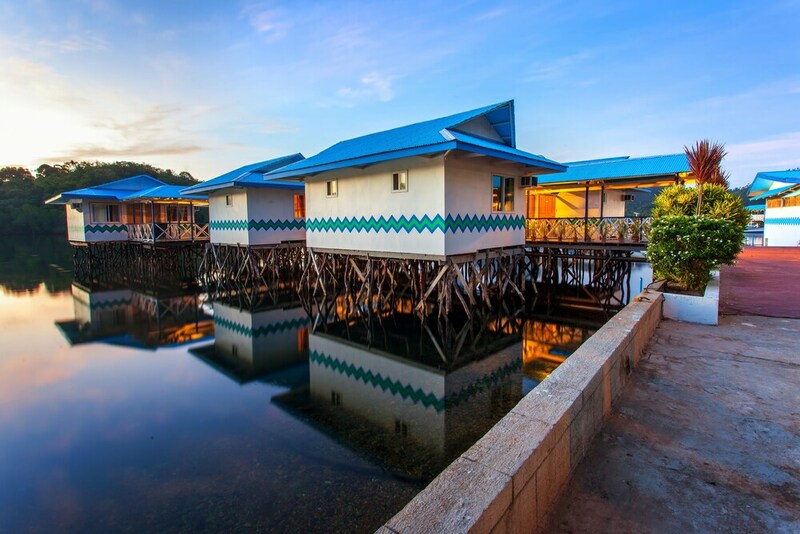 Offering direct access to the beach, this Coron resort is within 2 mi (3 km) of Palawan State University - Coron, Mount Tapyas and Coron Central Plaza. Iglesia ni Cristo and Bayside Plaza are also within 2 miles (3 km). At Coron Underwater Garden Resort, relax by an outdoor pool or hit the nearby beach where you can enjoy snorkelling. All 42 rooms offer room service (during limited hours), flat-screen TVs with cable channels, and safes. Other amenities available to guests include showers, desks and free toiletries. Limited housekeeping is available. The resort offers a restaurant. Public areas are equipped with complimentary wireless Internet access. For a surcharge, a round-trip airport shuttle (available on request) is offered to guests. This beach resort also offers an outdoor pool, tour or ticket assistance and room service (during limited hours). Coron Underwater Garden Resort has designated areas for smoking. Cooked-to-order breakfasts are available for a surcharge and are served each morning between 6:30 AM and 10 AM. On-site venue – This restaurant specialises in local and international cuisine and serves breakfast, lunch and dinner. Guests can enjoy drinks at the bar. Open daily. Start your morning with a cooked-to-order breakfast, available each day from 6:30 AM to 10 AM for a surcharge. You can order up room service during limited hours. If you are planning to arrive after 10 PM, please contact the property at least 72 hours in advance using the information on the booking confirmation. Airport shuttle service is available on request from 7 AM to 7 PM. Contact the property in advance to make arrangements. Fees may apply. Contact the property in advance to make arrangements. This property only accepts cash for all on-site payments. Please note that cultural norms and guest policies may differ by country and by property. The policies listed are provided by the property. Guests must transfer via boat to the property. Guests must contact the property at least 72 hours before travel, using the contact information on the confirmation received after booking. This property offers transfers from the airport (surcharges may apply). Guests must contact the property with arrival details before travel, using the contact information on the booking confirmation.